The Dutch fans have gone through it, and it’s about time for the Red Devils to endure similar agony. Although it’s nothing new for the Old Trafford faithful, as the anguish of parting away with a certain Great Dane is still fresh in their reminiscence; yet the Devils all over the world would invariably feel like losing their religion all over again when Edwin Van der Sar decides to hang his big gloves. All the Red Devils knew that it is a matter of time before the Dutch-man’s honeymoon at the “Theatre of Dreams” comes to an end, but yet they intrinsically tried their best to remain aloof from the dreaded thought as long as possible. However this time around, the writing is certainly on the wall and a change of guard under the wooden cross-piece at Old Trafford is quite imminent. A true sportsman, whom every aspiring kids in the streets of Manchester, Turin or Amsterdam have idolized, would not only leave a rich legacy behind him, but will also leave an even bigger tear in the hearts of millions of fans when his farewell hurrah would come upon them. Since the summer of 2005, when Edwin Van der Sar made his stance under the Old Trafford cross-piece, he has been an integral part of team and an epitome of excellence. Van der Sar is arguably the most complete goalkeeper to have graced the beautiful game in this generation. He has achieved it all with the Red Devils, including a European glory and a Club World Cup Champion’s medal. Turned 40 last summer, Van der Sar’s biggest strengths have been his excellent reflexes, unmatched command over his defenders, perfect anticipation, brilliant positioning sense, accurate ball distribution, supreme aerial high-claims, and the ability to stay calm even in the most demanding of situations. He has it all what it takes to be the best in business. Edwin’s unparalleled bequest would be almost impossible to emulate for his successor. An achievement that deserves special mention here is Edwin’s incredible unbeaten streak of 1311 minutes without conceding a goal in English Premier League – which was a major contributing factor for Ferguson’s men in clinching their 11th Premiership title in 2008/09 season. With a 5-0 drubbing over West Brom, Van der Sar helped Manchester United set a new club and Premier League record for 11 consecutive clean sheets as the Red Devils had gone 1032 minutes without conceding a goal, beating the previous Premiership record of 10 matches and 1025 minutes set by Chelsea’s Petr Čech in the 2004/05 season. The lanky United ‘keeper then broke the overall English record in United’s next league game against Everton, beating the previous record of 1103 minutes, set by Steve Death of Reading in 1979. He then went on to add another clean sheet, against West Ham, extending his record to 1,212 minutes, beating the unbeaten 1155 minutes British top-flight record previously held by Aberdeen FC’s Bobby Clark, a record that remained intact for a long 38 years since 1971. 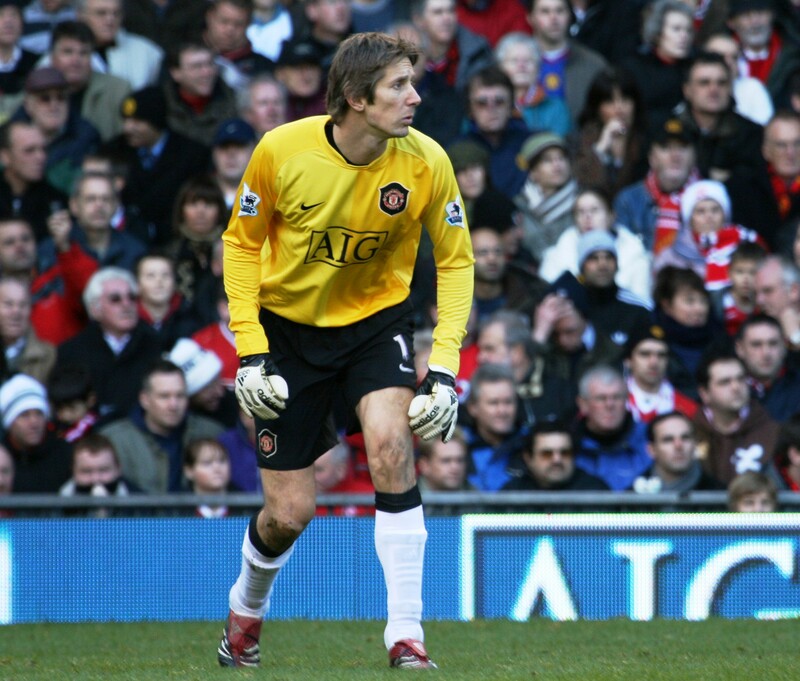 Ultimately, by remaining unbeaten till the 9th minute against Newcastle United, Van der Sar further extended the envious record to 1311 minutes, and in doing so, he broke Chilean Premiership’s José María Buljubasich‘s single-season world record of remaining unbeaten for 1289 minutes, which was set in 2005. A Red Devil would certainly be dragged into the fantasy-land of nostalgia, if he decides to drive down the memory lane revisiting the wonderful moments produced by the Dutch Superman while donning the United jersey. However the one that sticks to mind must be his performance against arch-rivals Chelsea in 2008 Champions League Final. After the 120 minutes of gruelling encounter could not produce a result and the game progressed to penalty shootout, it was the great Dutchman who anticipated it perfectly and dived to his right to pull off a brilliant save off a Nicolas Anelka spot-kick to earn his team their third European cup. 1. Edwin van der Sar prefers to dive to the shooter’s natural side more often than most ‘keepers. For example – while facing a right-footed player, the higher probability is that he would dive to his right. Similarly, for a left-footer, he would predominantly dive to his left. So Grant instructed Chelsea shooters not to place their shots towards their natural side. 2. Van der Sar has great success rate in saving penalties which were aimed at mid-height. So it was decided that Chelsea strikers would aim their shots either along the ground or at the top corner to have the best chance of scoring. And then the drama began. Michael Ballak took the first shot for Chelsea and placed the ball in the top right corner, that means to the left of Van der Sar. It went as per the script as the United goalkeeper decided to dive to his right, which was the natural side for a right-footed Michael Ballack. Juliano Belletti, again a right-footer, stepped up to take the second kick and hit it along the ground to Van der Sar’s left. Frank Lampard followed the same footsteps as Belletti and Van der Sar again anticipated it wrongly. So everything was going in Chelsea’s way as per the Grant-Ignacio theory. Then came the left footed Ashley Cole and he went to Van der Sar’s left, breaking point 1. Unsurprisingly, Van der Sar too dived to his left, in line with Chelsea manager’s theory, and almost pulled off a save. However the ball touched his outstretched hand and went in. And the belief in Chelsea camp about the theory became even more strong. Finally, it was all up to John Terry, the Chelsea skipper, to win the elusive silverware for his club. So the captain, another right footer, stepped up to take the winning shot, but unfortunately he lost his footing when planting his left foot on the ball and even though he went with the theory to place the ball to Van der Sar’s left sending the United ‘keeper the other way, it cannooned off the post and went wide. Soloman Kalou followed the predefined pattern and being a right-footer, went on placing his shot to Van der Sar’s left. Meanwhile, with his experience of playing in the top tier football for over a decade, Van der Sar could notice the strange pattern in Chelsea shooters. That was the reason when Nicolas Anelka stepped up to take his penalty, after Ryan Giggs converted his to make it 6-5 in favor of United, the United goalie pointed the index finger to his left as if to say, “Your trick is up mate, I know that you’re gonna place this shot to my left and I am all up to save this.” That was enough for Anelka to take the bait and as they say, the rest is history. Now Anelka was in a tricky situation. Being a right footed player, he was supposed to kick the ball towards Van der Sar’s left, but just a split-second ago he came to realize that the Dutchman had already cracked the puzzle, so in a confused state of mind Anelka hodgepodged the points mentioned in the theory and placed the ball to Van der Sar’s right, which was the Dutchman’s preffered side according to the Grant-Ignacio theory. “I have come to accept, this will be Edwin’s last season. It’s sad but the difficulty for a goalkeeper when he gets to 40 is something which happened with Peter Shilton. All of a sudden, because of age, Shilton’s form just collapsed and I don’t think Edwin would want that to happen. United’s long term second choice goalkeeper Tomasz Kuszczak has failed to establish himself as the Dutchman’s natural heir. Keeping an eye at Edwin’s possible departure in mind, Manchester United have roped in Denmark international Andres Lindengard in the winter transfer window. However most of the Red Devils believe that the Dane, with pretty limited international exposure, might not be ready to take up the big responsibility to fit in Van der Sar’s big shoes and Sir Alex will go for another big name goalkeeper signing next summer. Atletico Madrid’s David de Gea, Lyon’s Hugo Lloris, Shalke 04’s Manuel Neuer all are looked upon as the potential transfer targets for the Red Devils. However, it would be unjustified even to expect a similar level of durability from the guy who ultimately would replace him at Old Trafford. Fabulous read. The unsung hero behind Man United’s success in last 5 years. I have lost count on how many times United scrapped past with 1-0 wins, thanks to VDS’s brilliance under the bar. He is a Legend. Superb article. Even being a Liverpool fan, I have utmost respect for this true sportsman. Couldn’t agree more, he is a United Legend in his own rights. @Vishwas – I wouldnt really call him complete. He is very good and a legend for United. But, when u have Buffon,Iker and Cech as rivals for glory, he does fall behind. And even Reina for Liverpool has been a great shotstopper. 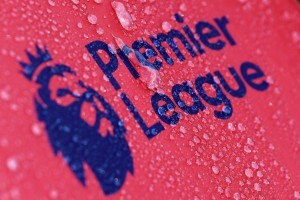 Its an incredible bit of trivia u have regarding the Champiosn league shoot out with Chelsea. Fabulous article. Never heard about the story behind Anelka’s penalty save. This shows that not only his reflexes were shrp, but also his mind was super sharp. @Rizwan – I beg to differ with you here. The names which you have mentioned, all are just brilliant no doubt about that. But that does not make Edwin any less brilliant. The fact is he is one of the rarest goalkeepers to taste success in three different top leagues – Dutch Eredivisie, Serie A and BPL, he won the best goalkeeper award in all these three leagues – which is an unique achievement. Along with that he was equally impressive for his national team also. Winning Champion’s League after a gap of 15 years is no joke, this feat highlights that Edwin performed at his best for a much longer duration than any of the players whom you have mentioned. Buffon is regarded as the best goalkeeper in this decade and even he rates VDS very highly. Because of his law profile characteristics, VDS never got the due credit which he deserves. With utmost respect to Iker’s ability, one has to admit that he has been errorprone throughout his career and committed a number of blunders. Peter Cech has never been the same goalkeeper after his head injury and Reina, not arguing he is a proven shot stopper, but well, what has he achieved till date to comapre him with the very best? I would suggest you to watch a few matches of Netherlands or Ajax in mid 90s to get the idea what an incrediable shot stopper he has been. I repeat no goalkeeper in the history of football has ever been so successful in 3 different TOP leagues and his national team. Hail the Dutch Maestro, he will remain in the hearts of millions of fans as a true role model. Van der Sar indeed is a great goalkeeper but you are wrong to say that he was a success in Italy. His 2 seasons in Juventus was probably VDS’ worst of his career. He was frequently error prone and made several costly mistakes which ended up Juventus losing league titles by narrowest of margines. He moved from Ajax to Juventus. From Juve to Fulham – a sharp drop in terms of club ambition to say the least. Mind you Fulham back then was a newly promoted club. In the cauldron of bernabeu where fans often whistle their own players, Iker has lasted 12 years. That alone speaks volumes about him. He never had a Vidic and Evra partnership to protect him. In making 100 saves he is bound to come up short sometime. That said VDS is one of the best, but not anywhere near ‘San’ Iker. Edwin is the best. Only Peter Schmeichel can be compared to him. The rest are kids. Dare to speak against The_Real_Boss bcoz Fergie knows all. Every club has their favourite players. Victor Valdes for us is one of the best in the world. Kids? U mean the KIDS who won the World cup in 2006 and 2010?? If so, Kids are better than Mr.Old man. btw I read about the Grant thing first time. I must say, very well researched and enlightning too. @Pulok: while you might sing paeans about VDS, the general opinion remains that while he is good, he is nowhere near the elite list consisting of the best of the best. Secondly a goalkeeper can be made to look better or worse than what he is because of the defense in front of him. The best years of VDS had Rio/Vidic and Evra in front of him. As a pair Rio and Vidic were probably the best in the business between 07 and 09, while Evra has been one of the best in his positions. Compare this with Iker who for most of his career had to deal with Jokers in front of him. For all the good goalkeeper he is, van der Saar won’t even rank among the best 5 in the world leave along being the best. Viva la Van der Sar. @Author – Hats off to your knowledge. Even being a Man United fan I knew nothing about that Avraham Grant theory and only after I read it here, the first thing I did was to log in to Youtube to watch that shoot-out and voila, you are absolutely spot on. Brilliant research mate. Thanks a lot for the article. Whoever says VDS was protected by a brilliant back four is taking credit away from the great man. Try having a look at our defence when Foster used to be between the posts or even kuzsack , shaky as hell. 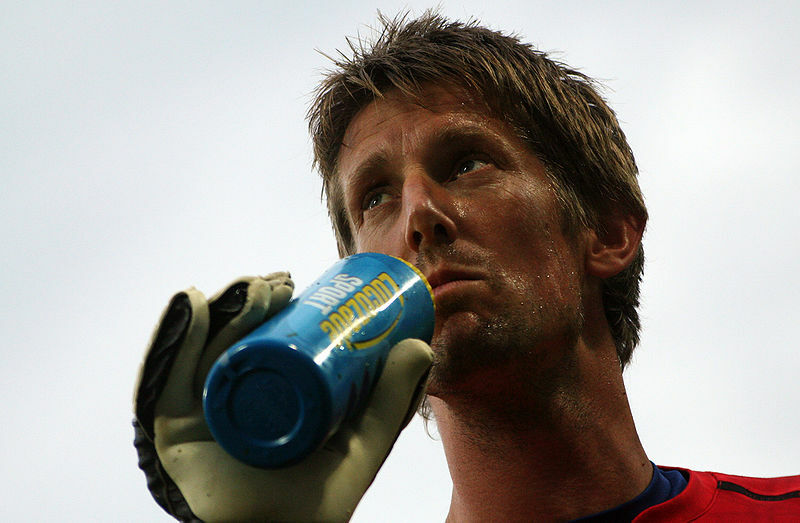 VDS’s presence is such a calming influence on the defence and the whole team in general. His organizational skils are unparalled, also the way he communcates with his defenders is admirable and that’s reason United have looked solid at the back. Well said Nipun and Amitabh. That’s what I wanted to convey. VDS’s amazingly consistent performance has been the building block for Man United’s success over the last 5 season and we have struggled to grind those highly valuable 1-0 wins whenever he was out injured. @Arvind, I do not want to argue with you about his performance in Serie-A as I do not follow Italian football. I only knew that when VDS played for Juve, they finished 2nd in those two seasons. And that’s success enough for me. I came to follow him more closely since his days at Fulham and from what I have seen of him I can proudly say that he is one of the best goalkeepers this generation has seen. And we, the man united fans rate him very highly. Are you sure about the Bayern bit ? VDS left Juventus in 2000-2001 season. Bayern won UCL that year and Oliver Kahn was in the best form of his life. I have been a Juve fan since 1994 and let me assure you – most Juve fans were glad that VDS left Juve. He was the reason why Juve finished 2nd instead of winning the title by 6-7 pt margin. He was poor and made terrible errors. In that period finishing second was NOT success for Juventus who was by far the best team in Italy. @ Somnath, you are missing the whole point here. I am not denying that VDS might had a forgettable stint with Juve [as I hav already said that I have very little knowledge about Italian league]. But my point is simple – do a few howlers makes him a bad goalkeeper neutralizing all his good works he has done for the other 19 years of his career? Tell me one goalkeeper who has not committed a howler in his career? I guess whoever is denying VDS to be a great goalkeeper have never followed English League for last 5 seasons. He has been tremendous for United, that too at an age of 40+, he still remains the very best in EPL. And NO ONE can deny that. EDWIN VDS IS A LEGEND. PERIOD! My first post – Van der Sar indeed is a great goalkeeper but you are wrong to say that he was a success in Italy. His 2 seasons in Juventus was probably VDS’ worst of his career. The only reason I started posting in this thread was the fact that you said he was good in Juve. Which he was not. I have never denied he is great ‘keeper. Folks, please come down. This article is afterall a farewell tribute to one of the greats of the game and one thing is certain that he has been looked up by fans, especially United and Ajax fans, as one of their role model and poeple will continue to do so even if someone points out few of his weaknesses. Let’s put an end to this debate here; there’s no point in taking this matter forward as it will not change anybody’s notion. As this article also discusses about life after him at United, so what do you people think, who would ultimately take the number 1 position at Old Trafford? I don’t think Lindengard will make VDS’s jersey his own as he is relatively inexperienced. I assume Sir Alex will go for another established keeper in summer transfer. May be Stekelenberg or Neuer would land at United and Lindergard will work as his deputy for next 3-4 years. 5 good years and he’s a Legend… LMAO…. @ Hala Madrid: Does staying at one club makes the player a legend?? VDS has been one of the best for a good part of 2 decades, and Iker is having his fair share of problem in the goal for the past couple of seasons. @Hail Sir Alex: VDS was treacherous at Juventus. Then he went to a mediocre Fulham and only in Man Utd he has played well. So you mean just 5 years of proper football can make him a legend? @Hala Madrid – that shows your knowledge level about the game. It may be because you started to follow football only in this decade. FYI – VDS had close to 8 years tremendous success with Ajax and Netherlands before he moved to Juve. 4 Dutch League Golden Glove, 1 Champions League, 4 Dutch League, 1 WC SF appearance, 1 WC QF appearance and many more individual honors before he moved to Juve. That means almost 20 years of top level football and that makes him a legend. Compared to that what Iker has achieved, except this WC? His reflex is perhaps the best among modern day goalkeepers, but one has to except that he has been pretty error-prone throughout his entire career and in last two seasons he has been a little poor to say the truth. Its true that Casillas makes more reflex saves than VDS but it might just be the case that VDS does not need to make those reflex saves due to his brilliant positioning sense. Also, no one could deny VDS’s calmness with the ball (the best GK in that sense) at his feet that helps out the United back 4 on numerous occasions. Its the same as Jamie Carragher and John Terry are hailed for their last ditch challenges, but its their improper positioning in the first place that causes them to make those tackles. Rio Ferdinand on the other hand has one foul to his name this season (albeit a penalty), but it is his better positioning sense that saves him from making those fouls or even making the last ditch challenges that have made Carragher and Terry legends for their clubs. and what makes the stat even better is that some of the games when other GKs have played were against lesser opposition and Sir Alex took a chance to rest VDS for those games. Perhaps the best piece of article I have ever came across about Van der Saar – Your efforts are well appreciated. I am sure that Red Devils will love it. Thanks for the great insight about 2008 CL Final. That’s an unknown bit of trivia for me. I will try to promote this blog. How could I miss out on such a fabulous article. A perfect tribute to the great goalkeeper that he is. Thanks for sharing the link in United official community. I guess I have unerthened a hidden treasure here. Neat website design and brilliant contents also. From now on you would get one more regular reader. Keep up the good work. Brilliant article indeed. The writer deserves credit. What can i say about the great Edwin Van Der Sar ….. i am from Mexico , and here we usually argue if Ochoa or Sanchez is the best keeper ………they are nothing compared to this Great player and incredible person. I have been following Manchester United since i saw The great Eric Cantona play his heart out ……… few players still exist these days that give so much for their teams , they become something else , These are the true LEGENDS ….Edwin Van Der Sar i admire you and will forever miss you, You sir are part of what makes Manchester United the best club in the world.